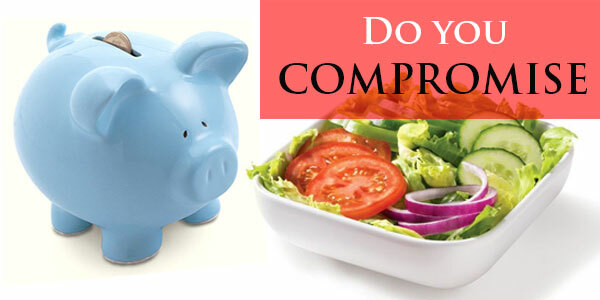 Do you need to compromise on your nutrition in order to budget? Get to know about nutritious food items which you can buy without spending much. Check out 4 healthy recipes under $5. Are you trying to cut your expenses in order to stay within a limited budget? But, while doing so, Do you need to compromise on your nutrition in order to budget?you shouldn't think that you'd have to compromise with your nutrition. It is not true. First of all, you can cut down cost by opting for home-cooked food instead of eating out. Go through this article to know about some food items and recipes which are healthy and nutritious and at the same time, relatively low cost. Here is a list of food items which are healthy and nutritious and you can purchase them for less than $2 per package. Eating home-cooked food is not only cost-effective, but also a healthier alternative to eating out all the time. Also, it doesn't always take much time to cook home food. Here are 4 recipes which you can cook at home and enjoy healthy meals. Also check out the price and nutritional information of these recipes. You can substitute chicken with fish, cucumber with zucchini and carrot, tomatoes with grape tomatoes, and olives with kalamata or ripe olives. So, try these recipes and opt for healthy living within a budget. Try out easy to make recipes of yummy cookies.